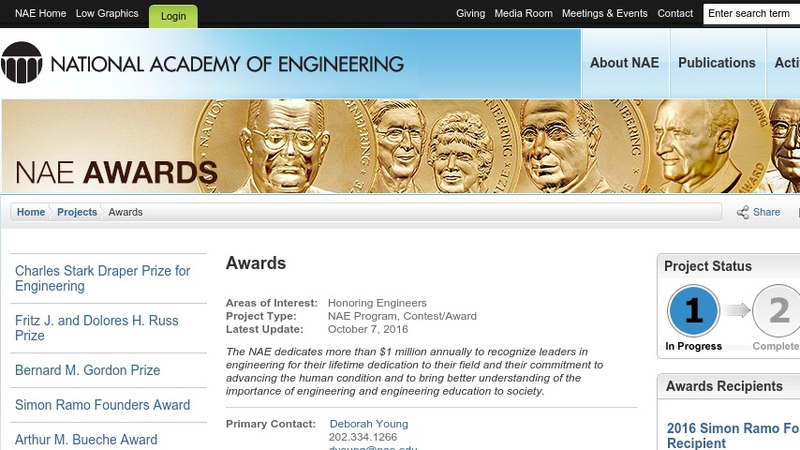 This news release from the National Academies reports on the National Academy of Engineering (NAE) awards, which "recognize three achievements that have altered the course of world history, improved the quality of life for millions, and created educational experiences that have transformed hundreds of engineers into community leaders." Those honored include the designers of a spy satellite, a scientist who invented biosensors, and innovators in engineering and technology education. The site provides short biographical information on each awardee and background on the awards.